Last week we had the pleasure of featuring a spotlight on some wonderful holiday destinations, both foreign and domestic. This week we follow that up with the highlights of one particular city you may not think of when you think holiday destinations: Berlin, Germany. Berlin pulls out all the stops for Christmas and Hanukkah, with myriad holiday offerings and festive seasonal delights. Whether you and your family crave amazing decorations and sights, great shopping, delicious food or winter activities like ice skating, Berlin has you covered. Some of the newer offerings span the range from hip and trendy, to sustainable and responsible consumerism. It truly is a unique experience and a great example of the holiday spirit in full bloom. Berlin also has great family appeal any time of year, and a host of fun activities for parents and children. We have some great days planned for the city, and welcome you to pair any and all of them with these winter delights. 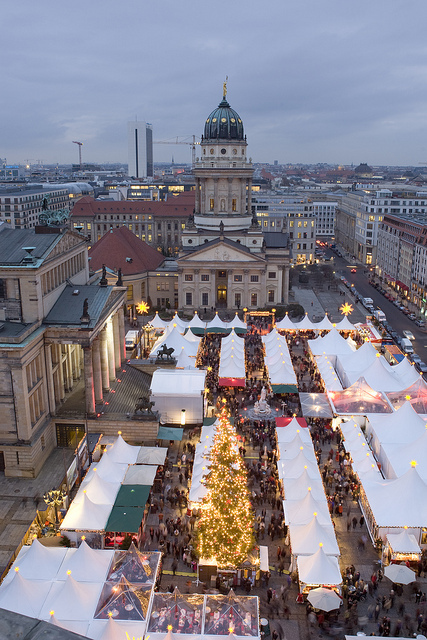 What Is Berlin Up To This Holiday Season? Christmas Markets offer an array of seasonal delights, and despite the name don’t cater only towards those who celebrate that particular holiday. Think of them as fun, seasonal pop-up shopping experiences with an array of foods, drinks and wares. This year you can step right off a train at the Central Rail Station and enjoy a new market located on Washingtonplatz. Every Sunday in December will see Berlin’s first ever all vegetarian market at Arena Berlin in Treptower Park. A market focused on sustainable goods and local crafts will be held in Kreuzberg’s Bergmannshof and a trendy new market known as Holy Heimat will take Friedrichshain by storm every Thursday until Christmas. Rooftop Displays mean that Berlin maximizes every surface of the city to promote good holiday cheer. The “concept mall” Bikini Berlin is hosting a skating rink on the roof of the shopping center starting December 1st to go along with it’s seasonal light display. Alternately, Klunkerkranichoffers shoppers a scenic view from above to take in the whole of Berlin in its holiday motif. Finally, “The Most Beautiful Nativity Scenes in the World” will offer celebrators of Christmas a more solemn and religious visual experience at Alte Münze. Hanukkah is not left out of the fun as December 16th, 2014 will see the unveiling of Europe’s largest menorah at the Brandenburg Gate (part of one of our itineraries). Throughout the 8 days of the holiday, the menorah will be lit and allow visiting families to celebrate in a grand fashion. The gate will also be the site of one of the world’s largest New Year’s Eve parties with over a million participants. Our Great Days in Berlin Are Filled With Family Fun, Just Mix In The Holiday Cheer! Our First Day in Berlin mixes rich history and education, with some fantastic sightseeing. It takes a path around the city that will send you by many of the holiday offerings. Treat it like a “hop on, hop off” tour, or eliminate a stop or two in favor of some festive offerings and have a ball! To make it easier to decide, We Also Have a similar day as completed by a real family. See what worked and what didn’t for them as you decide what may be important to your family, and what may be better swapped out for some seasonal stops. Once in Berlin you will be practically surrounded by holiday options. You can plan holiday activities and play the rest by ear, or center the day around a museum or activity and see what seasonal things you bump into. For the real planners, follow our itineraries on your way to a mix of everything Berlin has to offer! Because the only thing we love more than helping our users plan great family vacations is helping them save on those vacations, we have some links to share. 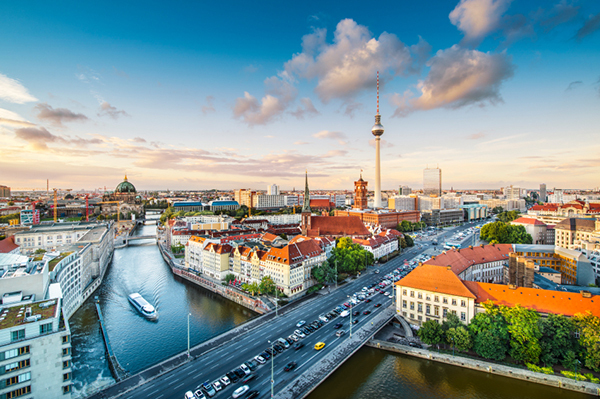 Hotels.com features its best deals for Berlin, you get savings!